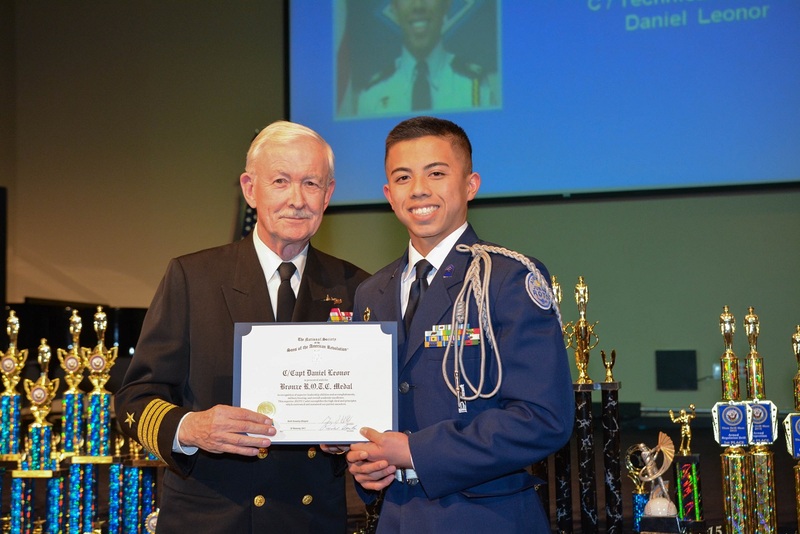 Gold Country Chapter Vice President (and retired US Navy Captain) Mike Holmes presents the SAR Bronze ROTC Medal to Cadet Captain Daniel Leonor at their awards ceremony this year. This award is presented to ROTC or JROTC cadets who are selected for having a high degree of merit with respect to leadership qualities, military bearing, and general excellence. The National Society of the Sons of the American Revolution (SAR) awards the ROTC Medal to foster the principle of the “citizen-soldier,” exemplified by the Minutemen of Revolutionary War days.